It's so hot right now... but that means quick tempering. Talenti tends to temper in moments, but this thicker HD takes minutes... trying to be patient.... I'm hungry, let's dig in. The flavor of the chocolate chips is really shining through on these first bites. I'm digging the subtle sweetness of the base. 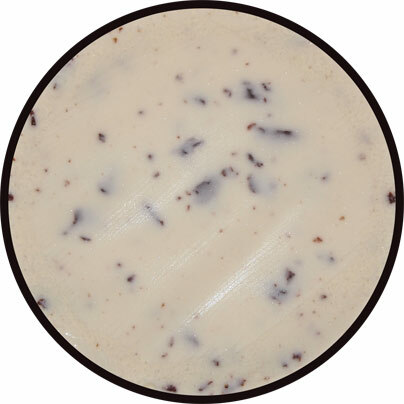 I want to say there's more of a milky flavor than with the Talenti version. Funny, as I eat more, the chocolate bits seem to be losing their effect. Overall, it just doesn't have that Talenti pop. It's still a fine gelato, it's just... iunno, too smooth? Again, that's kind of a reference to the milky vibe. Maybe it's the fact that they use skim milk instead of whole milk (and yet the Talenti version is healthier!). 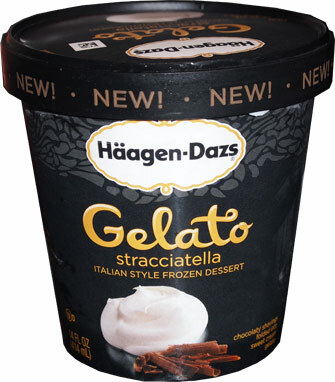 I think if you want to say that you've tried a stracciatella flavor then this will do in a pinch. It just doesn't have that fancy schmancy feel to it, that gelato awesomeness that we go to Talenti for. I guess I also want you to understand that this isn't chocolate chip ice cream. It looks like it and it has similar ingredients (minus the extra vanilla), but it's not. Oh well. On Second Scoop: Now as a rule of thumb, I don't read the ingredient list until I've tried an ice cream, because, well, your brain can play tricks with you sometimes. Case in point, ever since I've read skim milk on this gelato, it's all I can think about it. It's not terrible, I just think they missed the mark on this one. I made the mistake of trying this one first and it was so bad I wrote to HD about it! The cherry amaretto is by far the best! Great timing on this review. I have been eyeing this in the store and thought it was chocolate chip. Thanks for the heads up! I love and miss Vanilla Chocolate Chip!!! Anon, if you've looked at their facebook you know you're not alone on missing it. I've never tried it myself but I find the amount of people who miss it amusing. It seems like such a simple flavor to me. If you have a scoop shop near year, they have said it is still available there. Sad this is discontinued....it's my favorite style of chocolate chip. Having spent time in Argentina, this is a very common helado down there (called granitella). 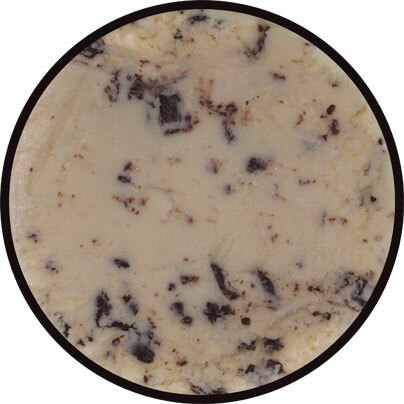 Lee's Premium used to make this style chocolate chip ice cream but they've disappeared too. Baskin-Robbins the only one left? I haven't been in years so maybe they changed to the big flat chips instead of flakes.